Healthy younger people may only need one or two 250mg tablets per day. To avoid any acetylcholine excess -which can cause headaches, neck, jaw or shoulder muscle tension -it is advisable to take occasional breaks of around one day per week. 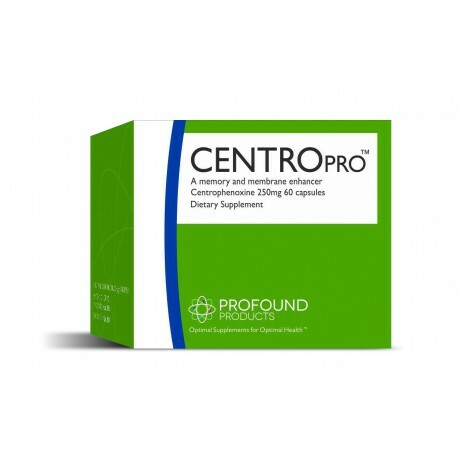 If any side effects occur -such as insomnia, irritability, hyperexcitability, agitation or restlessness -simply stop using Centrophenoxine for a few days, and then resume on a lower dose. This product and its statements have not been evaluated by the FDA. This product is not intended to treat, cure or prevent any disease. The above information is the translation of the manufacturer’s insert. It is provided under the supplying company’s terms and conditions and should not replace the advice of your personal physician.